Vol. 2, new biography of M. P. Shiel. 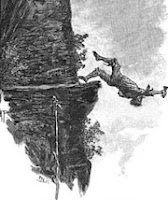 "He fell into the abyss below." In English Literature in Transition 54.3 (2011) Ailise Bulfin reviews M. P. Shiel: The Middle Years, 1897–1923 (2010), the second volume of the biography of supernatural/mystery/horror writer M. P. Shiel (1865–1947) by former UT-Austin library director Harold Billings. She states that "Billings's multivolume biography is of great importance to anyone with an interest in Shiel since it is the first extensive attempt to document the author's life" and that "[u]nder Mr. Billings's hand a far more rounded picture of the man emerges... (388, 390). Billings's M. P. Shiel: The Early Years is still available, and Arkham House has reissued the Haycraft-Queen Shiel work Prince Zaleski (1895). A U-Delaware library exhibition discusses Prince Zaleski and Shiel's background. Author Aldous Huxley, best known for the utopian novel Brave New World (1932), was born today in Surrey in 1894, the great-nephew of Matthew Arnold. He also made a few contributions to mysterydom: the short stories "A Deal in Old Masters" (The Strand, Feb. 1923; repr. Detective Stories from the Strand, ed. Jack Adrian, New York: Oxford UP, 1991) and "The Gioconda Smile" (English Review, Aug. 1921; later adapted as a play starring Basil Rathbone, adapted for TV several times; and selected as one of the 12 best detective short stories of all time). He died the same day as JFK's assassination: November 22, 1963. Great Charlie Chan Detective Mystery Game. Beinecke Library's Room 26 Cabinet of Curiosities at Yale features the Great Charlie Chan Detective Mystery Game (1937). Star-Ledger columnist Mark McGarrity, aka mystery author Bartholomew Gill, was born today in Holyoke, MA, in 1943. He was nominated for an Edgar for Death of a Joyce Scholar (1989), part of his 16-book series featuring Irish police superintendent Peter McGarr. He died in 2002 after a fall. A not so cool change: Popsicle v. Good Humor. Good Humor truck in DC, 1942. The National Archives' Prologue details the nasty court battles between the Popsicle and Good Humor corporations. BBC Radio 4 Extra: Edgar Wallace. Edgar Wallace's White Face (1930; film 1932), in which Scotland Yard attempts to find the murderer of a con man, is featured this week on BBC Radio 4 Extra. Episodes can usually be heard up to a week after broadcast. 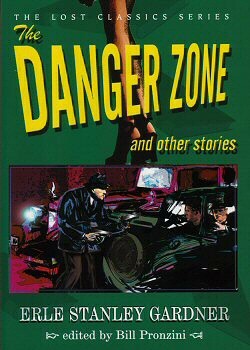 Happy birthday, Erle Stanley Gardner. A birthday toast to Perry Mason and Bertha Cool creator Erle Stanley Gardner, born today in Malden, MA, in 1889. Watch Gardner stump the panel on What's My Line?. Writers, are you enmeshed in writer's block? Be inspired by Gardner's plot wheel featuring elements such as "false confessions." 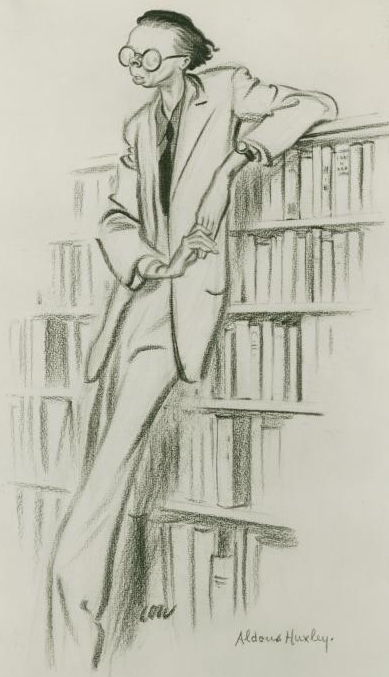 Fri Forgotten Bks: George Barr McCutcheon, Anderson Crow, Detective (1920). "... I am proud to say that I have been arrested by Marshal Crow more times than I have fingers and toes. And, I am further proud to add, that on not a single occasion did Marshall Crow hesitate to admit that he was mistaken." Anderson Crow—"town marshal, superintendent of streets, chief of the fire department, post- commander of the G[rand]. A[rmy of the]. R[epublic]., truant officer, dogcatcher, member of the American Horse-thief Detective Association, member of the Universal Detective Bureau" (57) of Tinkletown, New York —suspects "a German plot" behind several outbreaks of skullduggery in his small town. These include a rash of marriage proposals, arson, thefts, con men, and the activities of a mysterious veiled lady that the hapless Crow resolves entirely by accident. Given the time period when these comic stories were written, World War I looms large. Humor is the priority here rather than any serious attempt to present a mystery or an investigation, and some of the attitudes regarding women may be disconcerting to the modern reader. Those who like village mysteries may enjoy these tales. Bestselling author, playwright, and book collector George Barr McCutcheon (1866–1928) is probably best known for Brewster's Millions (1902; filmed several times, including one movie with Richard Pryor, 1985) and Truxton King (1909). 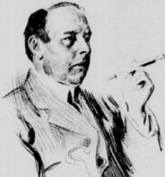 His brother, John T. McCutcheon, was a well-known cartoonist and illustrated Anderson Crow, Detective. Crow also appears in The Daughter of Anderson Crow (1907). Christie's Seven Dials Mystery adaptation. 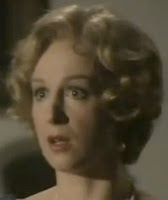 BFI Screenonline looks at the 1981 TV version of Agatha Christie's The Seven Dials Mystery, which features John Gielgud and Cheryl Campbell, and sees the influence of U.S. author Mary Roberts Rinehart in the adaptation. Donald Westlake—Edgar winner for God Save the Mark (1967) and "Too Many Crooks" (1989), Oscar nominee for the screenplay to The Grifters, MWA Grand Master, and recipient of PWA's Eye Award for lifetime achievement—was born today in Brooklyn in 1933. University of Chicago Press and Hard Case Crime have reissued some of his Richard Stark novels; a graphic novel of The Hunter is available from IDW Publishing. He died in 2008. BBC Radio 4 Extra: Mary Elizabeth Braddon. 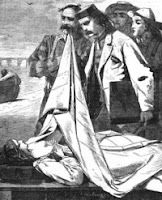 Mary Elizabeth Braddon's ghost story "The Cold Embrace" is featured this week on BBC Radio 4 Extra, which stars Jonathan Firth (Who can resist this description of the main character: "He was young, handsome, studious, enthusiastic, metaphysical, reckless, unbelieving, heartless"). Episodes can usually be heard for up to a week after broadcast. Those looking for a print copy of "The Cold Embrace" can find it here. 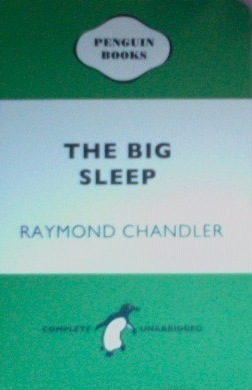 Product of the Day: The Big Sleep blank book. Critical Studies in Television pays tribute to Falk. The Web site of Critical Studies in Television features various Columbo clips with Peter Falk, including the rumpled lieutenant as a wine expert and a quick scene with Falk and his close friend, John Cassavetes. John D. MacDonald pens a rejection letter. In this undated letter on Letters of Note, Travis McGee creator John D. MacDonald turns the tables on editors regarding rejection letters. It's important to remember during the U.S. birthday party that the signers of the Declaration of Independence often paid a heavy price for signing the document. New Jersey signer Richard Stockton, the father-in-law of fellow signer and physician Benjamin Rush, was captured and imprisoned in nasty conditions by the British, who also burned his home and destroyed his library, which was considered one of the finest in the colonies. 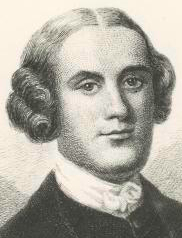 The intercession of Congress and George Washington was required to obtain his release in 1777, but the damage to his health had been done. He died an invalid in 1781.